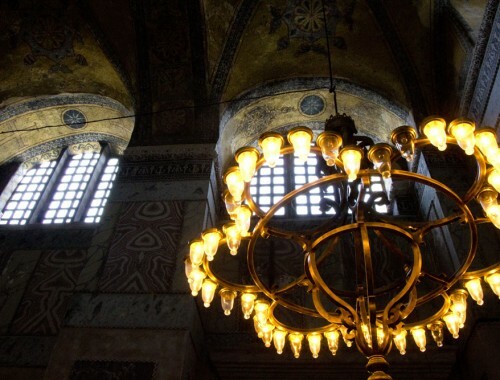 After spending several days visiting the important historical sites in Istanbul like Aya Sofya and the Grand Bazaar, and after a few days in Cappadocia wandering around the fairy chimneys and road tripping, we need a day to unwind in a place with no cars, no traffic, and no schedule. The Princes’ Islands were the perfect solution. 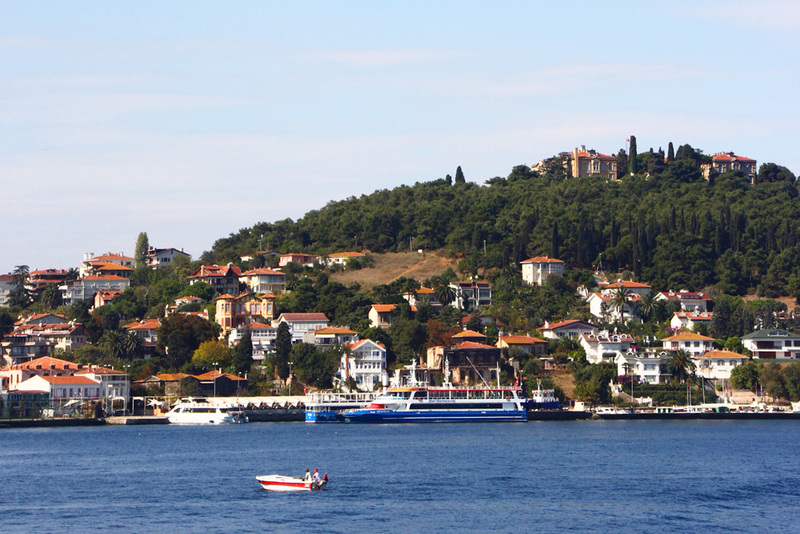 This group of islands sit in the Sea of Marmara only a 90-minute public ferry ride from the port in the Beyoglu section of Istanbul. 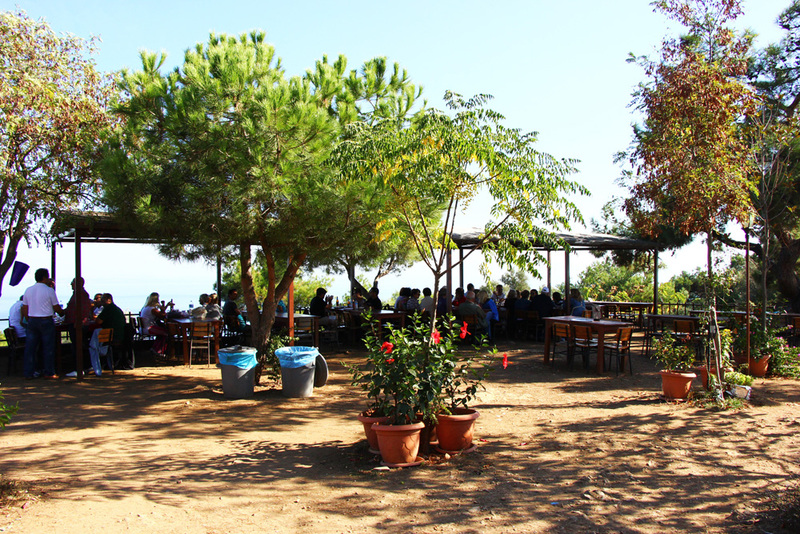 Since our last two nights would be spent enjoying the insanity of the Beyoglu bar and club scene, we opted for a day excursion on the biggest of the islands, Buyukada. The ferry trip was scenic and the breeze was warm, and in a mere hour and a half, we felt a million miles away from all the crazy. 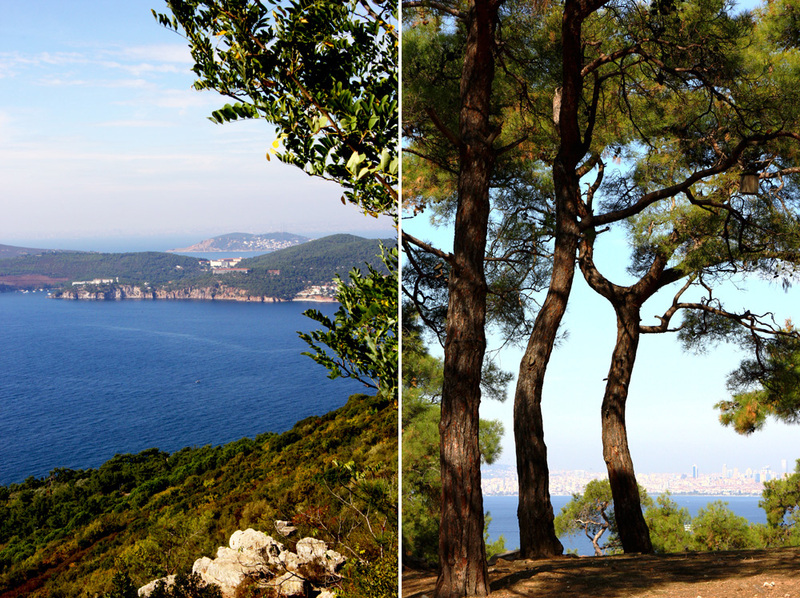 Technically, the Princes’ Islands are a neighborhood of Istanbul called Aladar, but you really wouldn’t know it. 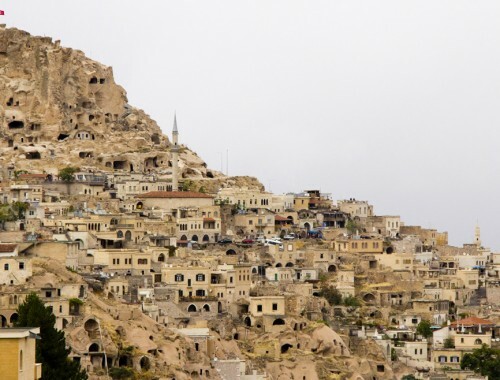 The islands used to be a haven for wealthy Turks looking for a summertime getaway. Think the Hamptons. All the fancy people built lots of fancy vacation homes everywhere, along with fancy eateries and luxurious hotels, all with plenty of European grandeur. However, what sets the Princes’ Islands apart from places like the Hamptons is the transportation. There are no cars here. 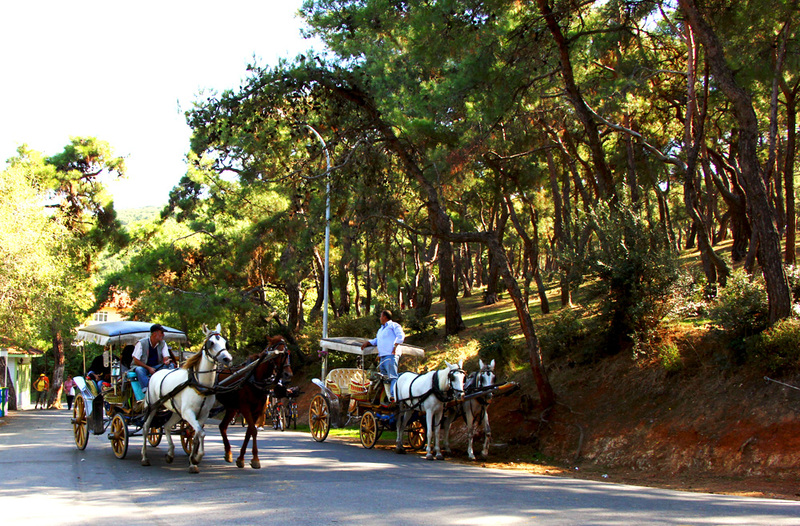 Visitors mainly get around by bicycle or horse drawn carriage, which is SUCH a wonderful thing. There is relative quiet. You can actually hear yourself talk and think in the middle of the main downtown area. You don’t breathe in exhaust fumes. There is something blissful about this no-car policy. 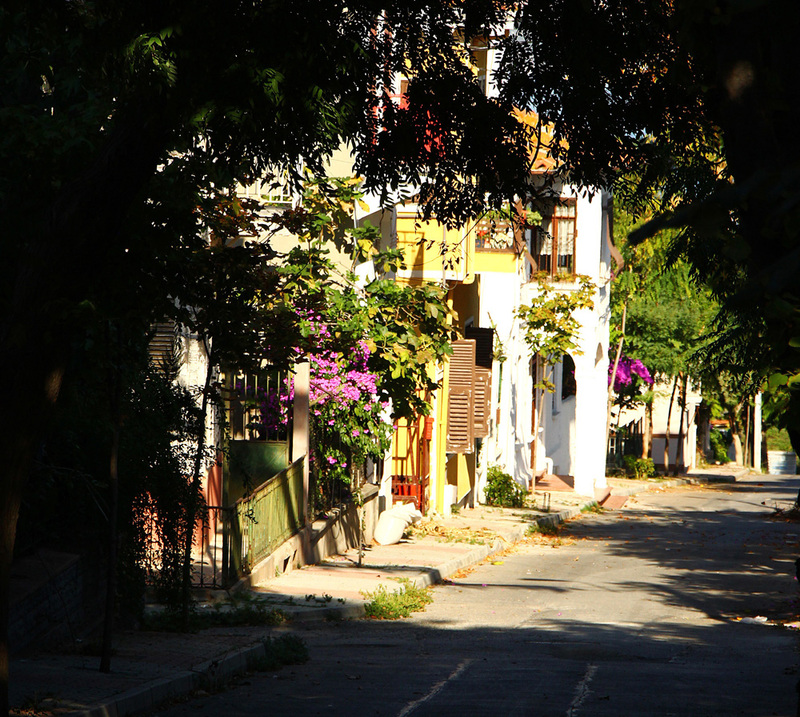 The island has a road that circles around the town and then heads up the main island hill towards a historic church, Agios Nikolaos, at the top. 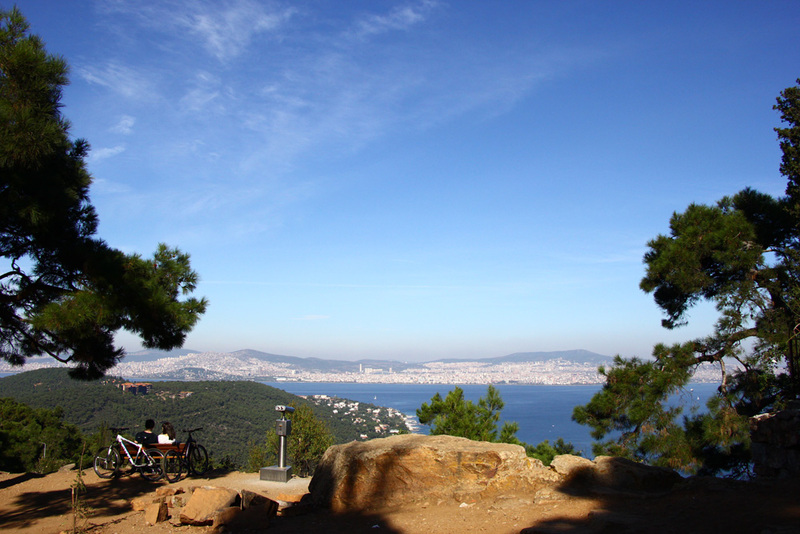 Most people come here for sweeping views of mainland Turkey as well as the beautiful water and clean cool air. The horse carriages and bicycles are only allowed to travel part of the way the hill as the grade gets significantly steeper on the final stretch. 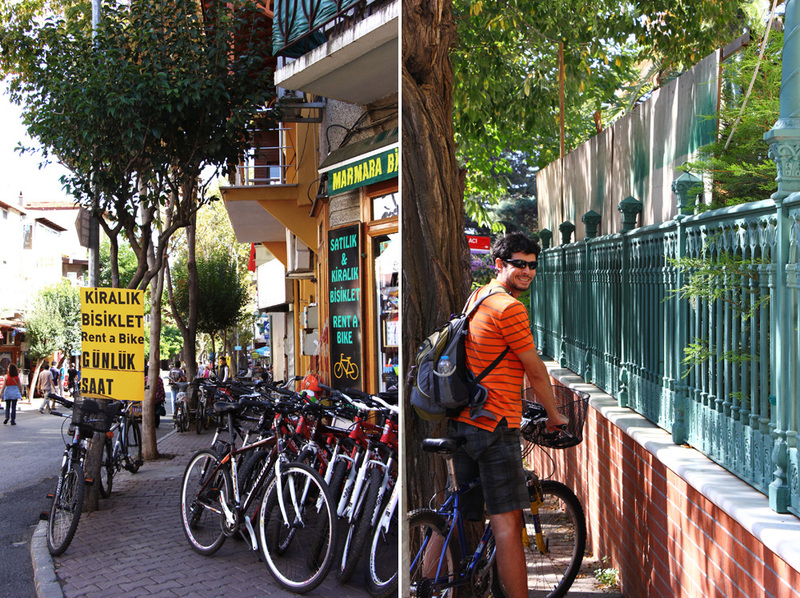 A steady cobblestone path only navigable on foot continues for almost two kilometers beyond the horse-and-bicycle parking lot, up to a clearing at the peak of Buyukada’s tallest hill. Truth: the 360 degree view from the peak is dramatic and worthy of your time and all that huffing and puffing you did on the walk. Morning was all about the hill, afternoon was about the coast and town. Unfortunately, we did not visit Turkey during beach season, so finding a good stretch of sand for sunbathing or swimming was not a priority. However, on the perimeter of town, there is something of a boardwalk or ocean walk which has rocky outlets and good places for picnics or a sea plunge or some good old fashioned sitting. The walk through the winding roads in town, though only a small part of our day in this car-free wonderland, was one of my highlights. 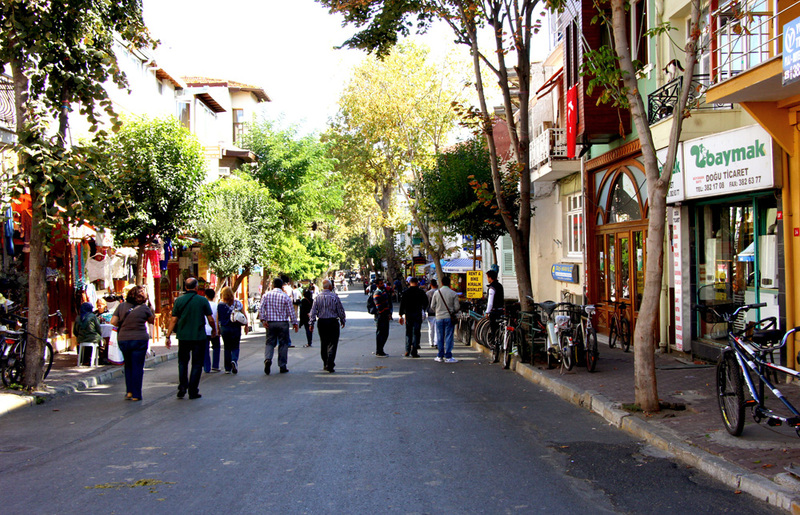 The sidewalks are cozy and quiet, and there are so many tantalizing restaurants that make it hard to decide what to eat. 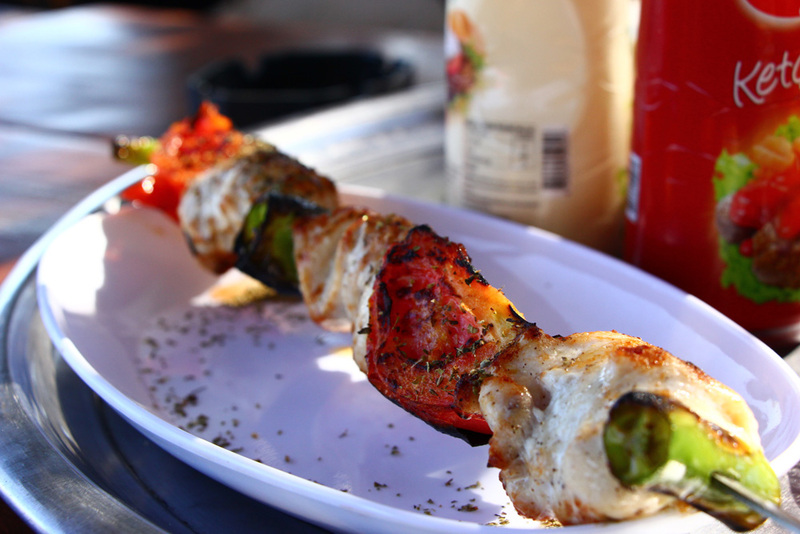 We opted for some pre-ferry-ride pide – a dish that had quickly become one of our favorites of all Turkish dishes. Not shocking as we hail from New York City. 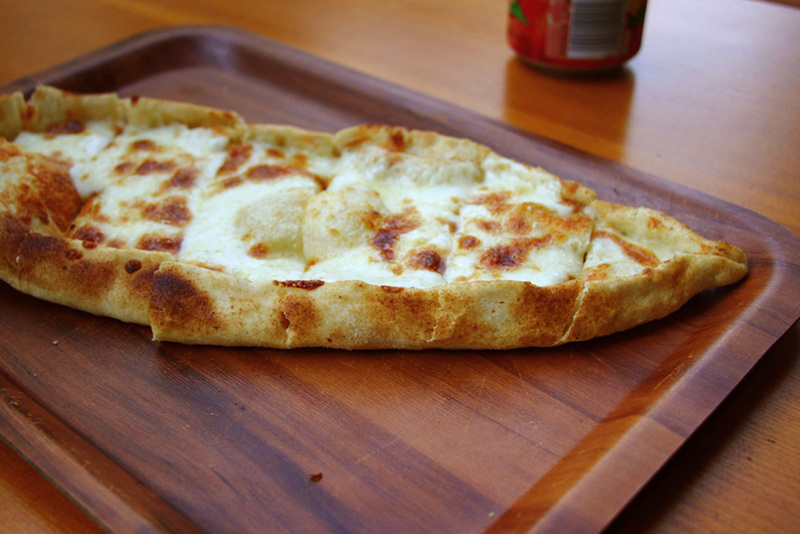 And pide is basically a Turkish pizza, sans tomato sauce, but with lots of extra interesting flavors. 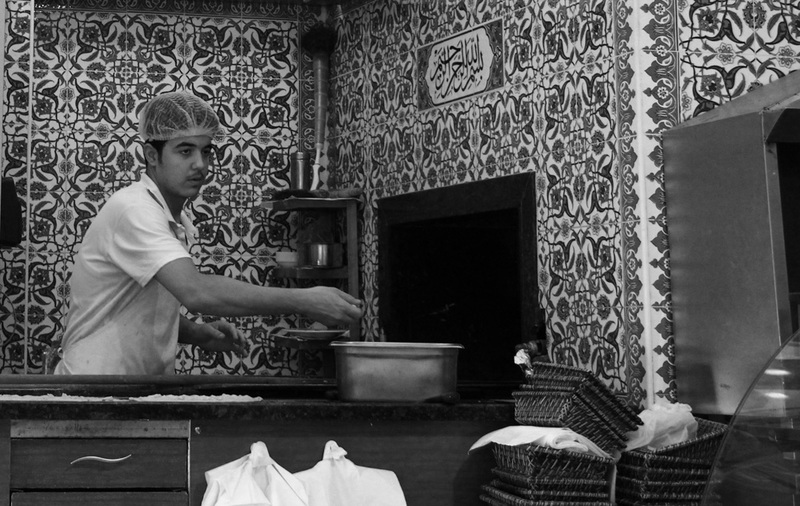 The ovens are reminiscent of NYC pizza ovens, but with intricate tile work and beautiful Arabic script. 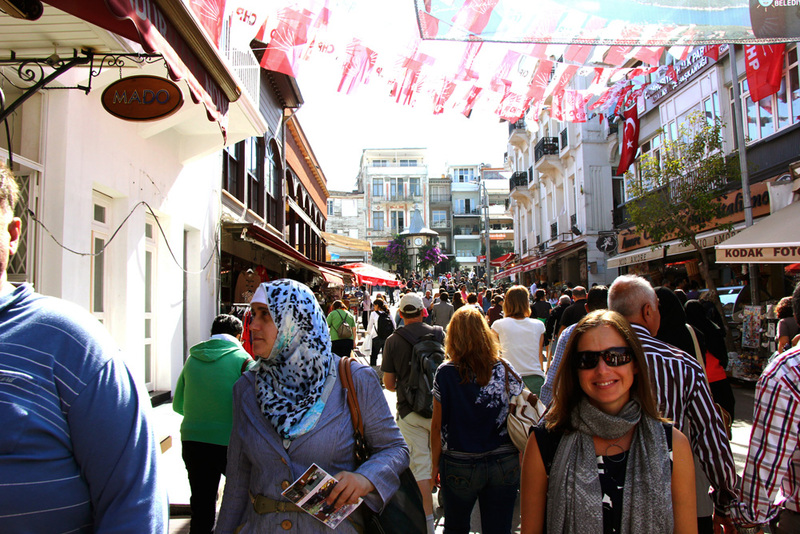 As our ferry pulled out of the port on Buyukada at the end of the day, I was almost sad to be going back to Istanbul. WHAT?? 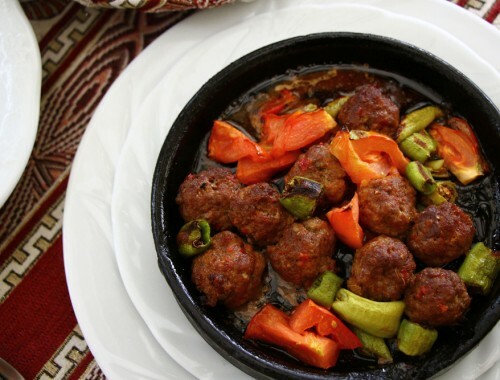 What kind of place makes you sad that you have to go back to Istanbul? The city that has THIS and THIS and THAT?? An awesome one. One that was exactly the place I was looking for. 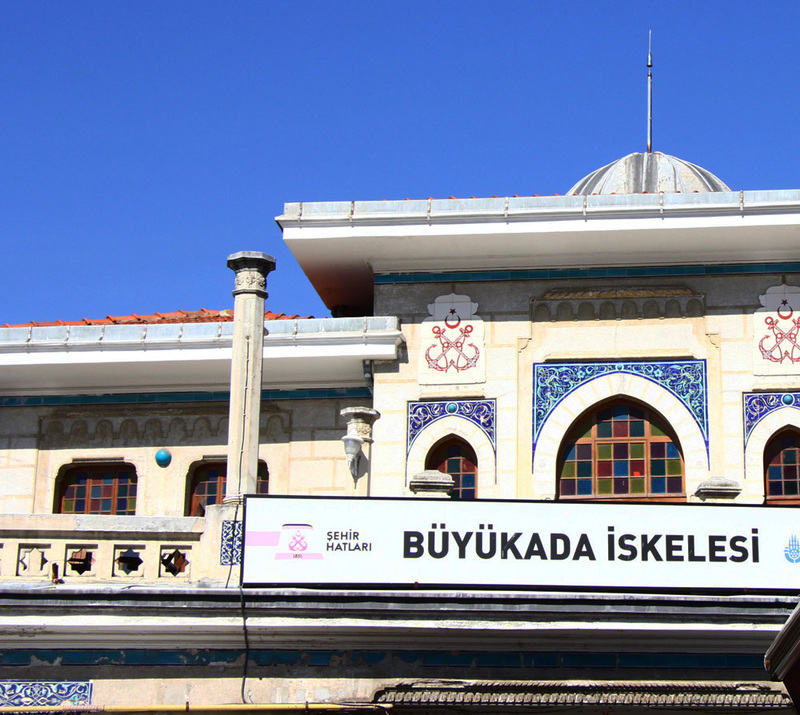 There are certainly your fair share of tourist-trappy kind of shops and activities in Buyukada, but the Turkish flare is there and the calm of the island is a welcome respite. I knew, in the end, that our choice to spend our last full day in Turkey on Buyukada was the right one when we were graced with one of the most spectacular sunsets I’ve ever seen on any of my travels. Bold statement. And a true one. Sounds like a dream! I love those islands that don’t allow cars. You can really appreciate the quiet more I think. And that sunset photograph is gorgeous! Right? As much as obscene traffic is sometimes quite entertaining and immersive, sometimes the quiet is just what you need to really hear a culture. 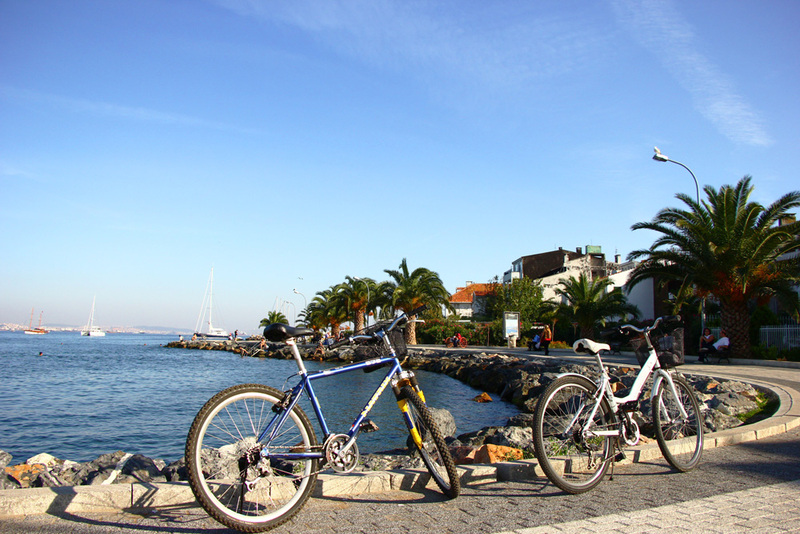 I love the beautiful sights and the laid-back look of the place in the photos… Surely a place to enjoy cycling leisurely!